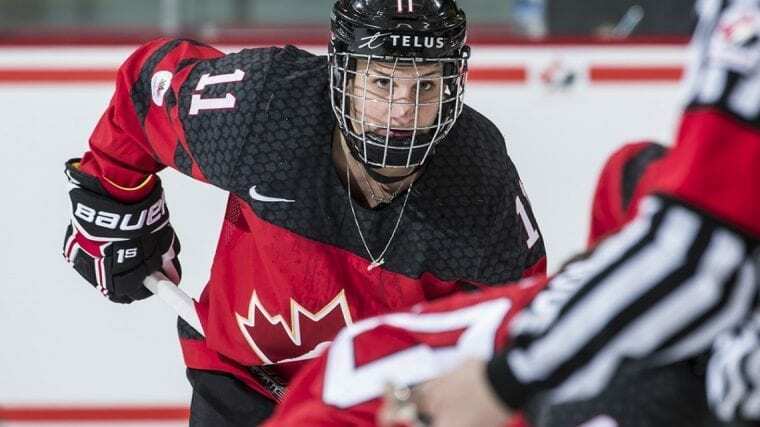 For Team Canada forward and proud Nova Scotian Jillian Saulnier, bringing her home province’s hockey community together in order to support the struggling Barho family was an easy, pretty much inevitable decision. “I’m just so heartbroken for this family,” Saulnier, 27, said over coffee at The Daily Grind in downtown Halifax, during one of her brief visits home amidst a busy schedule facing off with both the Canadiennes de Montreal of the Canadian Women’s Hockey League and Canada’s National Women’s Team. Saulnier, who was in Montreal at the time, received the devastating news when her father called her up on the evening of Tuesday, Feb. 17. Early that morning, a Halifax-area family lost all seven of its children in a tragic house fire that rocked the small community, shocked the entire province of Nova Scotia and stunned the entire nation. The immigrant family had fled the dangers of their home country of Syria a mere year and a half ago, in hopes of creating a safer and more secure life Canada. The happy family flourished during their short time living in both the East Hants and Spryfield communities, which welcomed them with open arms. Neither the Barhos themselves, nor those who helped them on their journey to a new life in Canada, could have ever predicted that they would have to flee for safety once again, this time from their own home, which ignited fast and furiously, flames quickly jumping to the upstairs rooms where the children had been all sleeping peacefully. Rimmer, whose daughter attended the annual Turnbull Saulnier Skills summer camp, has a sports management background and has been helping her put all of the pieces together for the big event. That big event became the Barho Charity Hockey Game with Jill Saulnier and Friends, which is set for the afternoon of Saturday, March 16 at the BMO Centre in Bedford (part of Halifax Regional Municipality). The silent auction in support of the Barhos starts at 3 p.m. and an open skate for all ages and skill levels kicks off at 3:30 p.m. Following that, at 4:15 p.m., Saulnier will offer some opening remarks and lead a moment of silence for the Barho family, in memory of fire victims Abdullah, Rana, Hala, Ola, Mohamad, Rola and Ahmad. Along with Saulnier, Canada’s National Women’s Team legend Fiona Smith-Bell; a few other local celebrities; some former professional, university, college and Quebec Major Junior Hockey League payers; some big donors; and of course family members and friends, will take to the ice at 4:30 p.m. to play some puck and have some fun for an exceptional cause. They’ll be wearing jerseys representing local fire departments to recognize the first responders who are so often on the front lines of tragic and traumatic emergencies such as the fatal Barho family fire. The day will wrap up with final remarks at 6 p.m., which is when the silent auction closes, followed by an autograph session so fans can mingle with Saulnier and the charity game stars. Fundraising efforts for the Barhos are primarily through the online silent auction, with some incredible donated items ranging from jerseys autographed by the likes of Hayley Wickenheiser, Cassie Campbell-Pascall, Sidney Crosby and Nathan MacKinnon, to a full weekend experience package for the 2019 Clarkson Cup, the CWHL championship, as well as ticket packages for events such as the 2019 Memorial Cup, which is the Canadian Hockey League championship, and the 2020 IIHF Women’s World Championship. The list goes on. Community members who attend Saturday’s charity game can also make charitable donations on site. Donations can also be made directly online at the Barho Charity Hockey Game crowdfunding site, even after charity game day is done. Fundraising efforts will go towards the requirements of the children’s mother, Kawthar, for her to use as needed for her family, and will be administered through the Hants East Assisting Refugees Team, also known as HEART, which is the group that sponsored and welcomed the family to Canada. Saulnier’s fellow Nova Scotian, who laces up alongside her on Canada’s National Women’s Team, forward Blayre Turnbull of Stellarton, unfortunately can’t make the charity game due to her busy schedule with the Calgary Inferno, but has sent her best wishes from the other side of the country. Saulnier and Turnbull both represented Canada at the 2018 Olympic Winter Games in PyeongChang, South Korea, bringing home silver medals to share with Nova Scotia. Ironically, they’ll also be facing off against each other for Clarkson Cup bragging rights Sunday, March 24 at the Coca-Cola Coliseum, home of the Toronto Marlies. 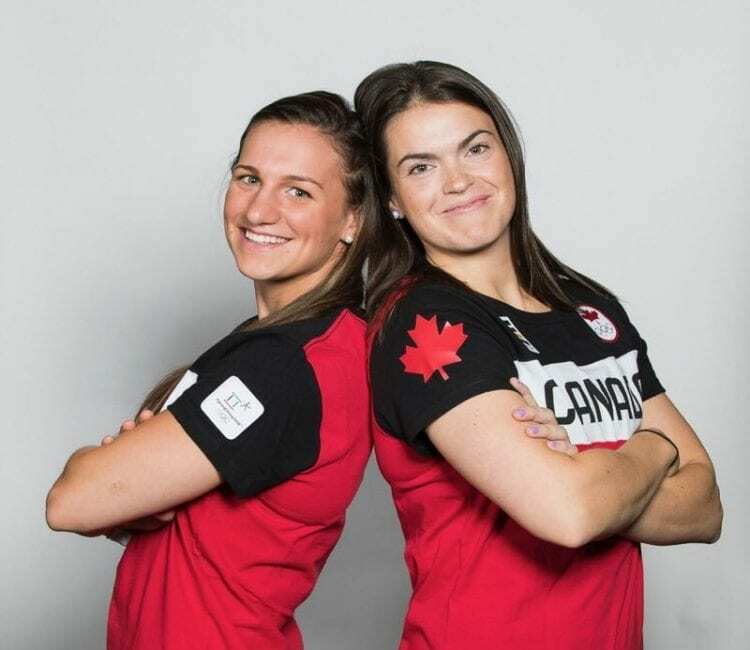 Following that on-ice rivalry, they’ll join forces once again to suit up for Team Canada at the 2019 IIHF Women’s World Championship, which runs April 4 to 14 in Espoo, Finland. Needless to say, Saulnier’s schedule is packed, taking her across the country and the world. But for her, home really is where the heart is, so she knew she had to do something to help her mourning province. “It’s a good opportunity not only to bring everybody together, and just be thankful for the people around us, but also to honour the family and everyone who was involved,” Saulnier said. For more information, please visit the Barho Family Charity Hockey Game Facebook page.